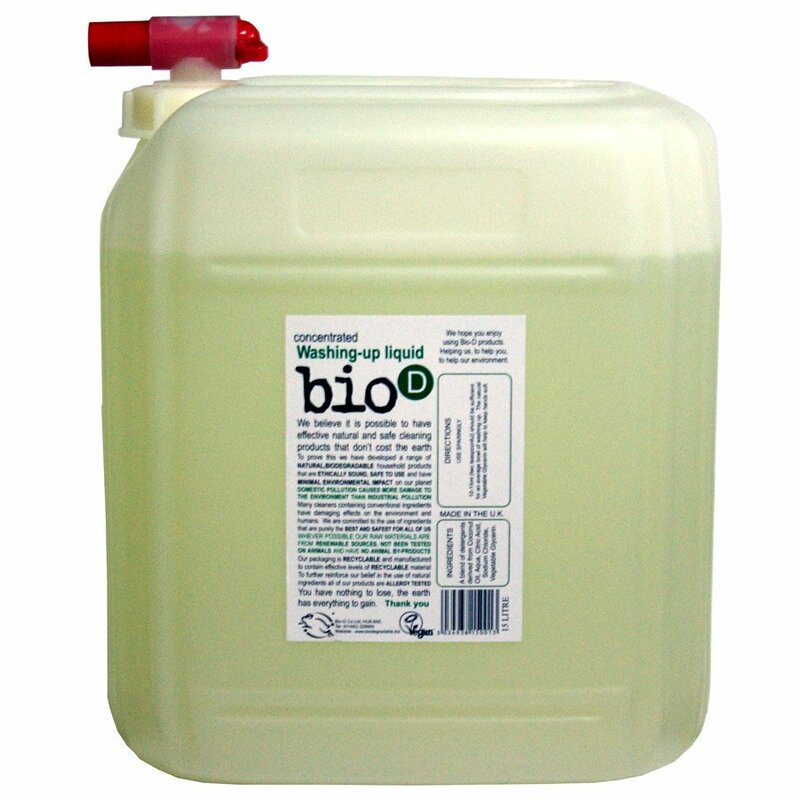 Bio D Washing-up Liquid is safe effective and kind to your hands. Containing eco friendly ingredients including vegetable oil citric acid and vegetable glycerine it helps to keep sensitive skin in a supple condition. Bio D Washing-up Liquid cleans dirty dishes beautifully and is formulated to have minimum impact on the environment both in use and the manufacturing process. The Bio D range provides environmentally friendly high quality household cleaning and laundry washing products without synthetic or animal-based ingredients. Please note: Dispensing tap for 15L bottles is sold separately, available here . A blend of detergents derived from Coconut Oil, Aqua, Citric Acid, Sodium Chloride, Vegetable Glycerine. There are currently no questions to display about Bio D Concentrated Washing Up Liquid - 15L.